Witness the beauty of the Universe with St Andrews University Astronomical Society! Every Thursday night the society's members open the doors of the St Andrews Observatory to the public, rain or star-shine! 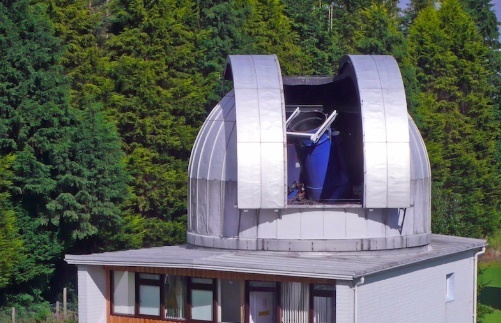 With two research grade telescopes as well as many smaller ones this is a great opportunity to explore the skies with experienced and enthusiastic astronomers. This event is being organised by University of St Andrews Astronomical Society who should be contacted if you have any queries. We highly recommend you confirm this event is indeed going ahead before travelling. If you do attend it would be fantastic if you could let the organiser know you found them via Go Stargazing! Please contact University of St Andrews Astronomical Society directly for more details regarding this event or, if appropriate, contact the event venue.